SB: Barry, why don’t we start with a brief summary of your background, including your role here at the RMB Group? 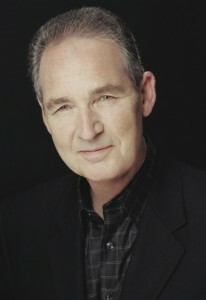 SB: I remember seeing you on TV in the late eighties. I must admit, the hot dogs were good. BP: That was part of my “15 minutes of fame” period… I was also interviewed on Oprah, Letterman and the Today Show. I made the covers of Success Magazine and Entrepreneur Magazine and was written about in People Magazine, The New York Times and The Wall Street Journal. I sold the hot dog business and what I do now is travel all over the world, speaking at conferences about commodities and professionally managed futures accounts. SB: Why the switch from entrepreneur to commodities? BP: I’ve loved commodities ever since reading Harry Browne’s 1970 book, “How You Can Profit From the Coming Devaluation”. I remember buying gold, silver and Swiss francs. I made a little money and got hooked. SB: And now your specialty is individually managed futures accounts. BP: The one thing I’ve learned from my business ventures is the importance of the old saying, “Don’t put all your eggs in one basket.” I’ve made every mistake in the book and was lucky I didn’t bet the farm on any one of them. That’s why I chose managed futures for my third act. I like being on same side as professional traders – people who trade for a living — as opposed to just buying commodities on a whim without a true understanding of risk. SB: Tell us a little more about managed futures. BP: My division at the RMB Group focuses on individually managed futures accounts. We consider them a distinct asset class. 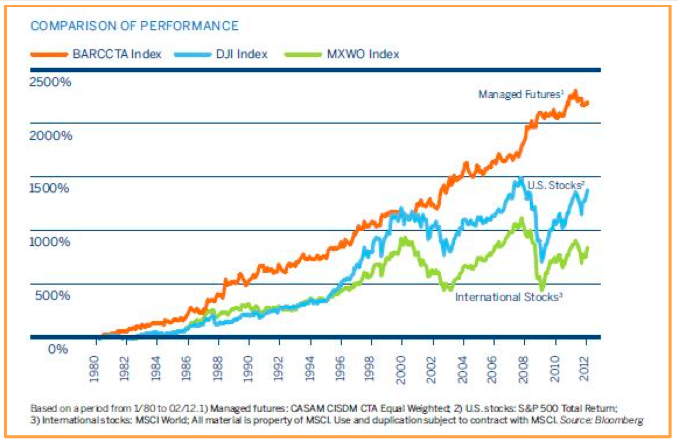 Managed futures are specifically designed to capitalize on both up and down markets. That means their performance is not dependent on the business cycle or the stock market. What we do is analyze specific money managers within the managed futures universe and present a select number of them — along with their audited track records and Disclosure Documents (similar to a prospectus) — to our clients. Managed futures money managers are called Commodity Trading Advisors or “CTAs.” Our aim is to match the trading style of a manager or set of managers to the risk tolerance and portfolio diversification needs of each of our individual customers. SB: The world is a scary place right now. Aren’t you worried about volatility? BP: CTAs are professional traders. Good traders welcome volatility because it provides more opportunities. I believe this is one of the reasons why managed futures have tended to do well during periods of crisis. Some of the best years for managed futures have occurred during bear markets, recessions and periods of global unrest. Unlike mutual funds or ETFs, Commodity Trading Advisors can go long or short any market they trade. This gives them incredible flexibility. The whole concept of being short is also what many investors new to managed futures have a hard time wrapping their heads around. Most investors think commodities are more volatile than the stock market but stocks can be just as volatile. The NASDAQ 100 fell 84%, tumbling from a high of 4882 in March 2000 to a low of 797 in October 2002. The supposedly staid and solid S&P 500 fell 58 percent in eighteen months after Lehman failed not so long ago. If you were long and not diversified into other asset classes you got killed. This is why portfolio diversification is so critical – especially through programs able to trade the short side of markets. Fear is a far more powerful emotion than greed. That’s why down moves are more violent. SB: ..And commodities also have relatively low correlations with stocks. BP: This is probably the biggest argument in having professionally managed commodities as part of well diversified portfolio. Managed futures as an asset class are not correlated to movements in stocks or bonds, making them a highly effective diversification tool. Hedge funds, university endowments and family offices have been using them this way since the late 1970s. Individual investors are just starting to catch on. And unlike hedge funds that require huge capital commitments and lock-up periods, managed futures are extremely liquid. You can close out your investment and have funds either wired to you or placed with a different manager in as little as 24 hours. It is also important to remember that when you add managed futures to your portfolio you are not necessarily buying a market or a basket of commodities – what you are buying instead is the skill of the CTA managing your money. As I mentioned earlier, this is what my division at the Rutsen Meier Belmont (RMB) Group in Chicago does. We analyze and evaluate CTA money managers and try to fit our customers with the right one. SB: Where can investors go to find out more about the managed futures asset class? BP: Well, they can plug the search term into Google and risk getting buried by targeted advertising or they can stay right here. 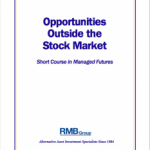 The RMB Group has an easy-to-read booklet which explains the nuts and bolts of managed futures called Opportunities Outside the Stock Market. Investors can download a copy by clicking here. You can also e-mail me at barry@rmbgroup.com. Put “managed futures” in the subject line and include your name, mailing address and phone number and I’ll make sure to drop a hard copy in the mail.